Dehydrating to remove free and dissolved water, including insulation dry-out of the windings. Degassing to remove other dissolved combustible gases such as Acetylene, Ethylene, Ethane, Methane, Hydrogen and Carbon Monoxide, and Carbon Dioxide. Adding of BHT oxidation inhibitor to oil filled transformers. Most transformers can be processed while energized provided there is adequate clearance from bushings and safe access to fill and drain valves. TSI’s process uses in line moisture monitoring, on-site dielectric tests and fluid quality tests for process control. TSI also has portable equipment to degas and dehydrate silicone filled transformers. A 24-hour (or other time as directed by the customer) vacuum hold at less than 1 mm to draw moisture from the core and coil. If desired, the transformer may be filled with dry Nitrogen and held under pressure for 12 to 24 hours to allow a dew point test to be performed to verify that the desired moisture level has been achieved. The oil is passed through TSI’s dehydration system where it is further heated and vacuum dehydrated. The transformer is kept under vacuum while it is being filled slowly with hot oil. This evaporates additional residual moisture. 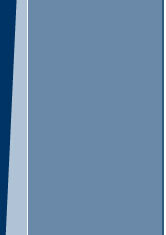 If desired, vacuum may be held for several hours after the oil fill is completed. On-Site dry out is accomplished by circulating hot oil while the transformer is under vacuum. 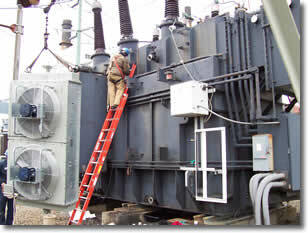 A cold trap is used to measure the amount of moisture removed from the transformer. TSI’s experienced crews and licensed High Voltage Electricians are capable of installing, dressing and acceptance testing of transformers and switchgear, large or small. TSI has a crane truck for equipment up to 9000 lbs and rents a crane for larger installations. We also have tankers and transformer oil treatment equipment for any size job.